Last night was the first committee meeting for the Wildomar Heritage Museum and Education Center (AKA…the David A. Brown House). It was more of a gathering that only occurs at funerals and weddings filled with people that you haven’t seen in quite a while and always love to see. Those who you always say you will meet with soon to catch up with. It was hard to get things settled and going but we had a lot of ideas and a lot of topics of concern being discussed. We talked a lot about history and the sentimental historical value of restoring and utilizing the Brown House. It was a unanimous vote to choose a committee name based on what our end result will be. We have a lot to thank David A. Brown who was simply known as “Mr. Wildomar”. He is a direct link to the development and creation of what we now call “The City of Wildomar.” He was the Zone Commissioner of Riverside County Flood Control and Water Conservation District. He helped initiate a multi-million dollar flood control project for the Wildomar Valley. He was a Charter Board Member of the Wildomar Interest League and he was appointed by Supervisor Walt Abraham to a Charter Member of the Wildomar Municipal Advisory Council which ended when citizens voted to become a city in 2008. He was a Charter Member of the Wildomar Chamber of Commerce. If you are a member of CERT you’ll find this interesting. He was Wildomar’s first CERT member before there was such an entity. He was a member of the Riverside County Disaster Preparedness Organization. As a RA.A.C.E.S radio operator, he has furnished emergency communications in time of a disaster. He not only taught adult night school classes in Radio Electronics at the local high school but he was licensed for 50 continuous years as amateur radio station W6NBM with an upgrade in 1976 to extra class license privileges, which is the highest FCC license available for amateur radio operators. He helped many people study for the FCC test and obtain their radio amateur license. The Wildomar Heritage Museum and Education Center will not only be a place to remember the past but also to develop our future by investing in our present. The property it sits on is such a great location for our school students to take a local walking field trip. Three schools are just around the corner and could make a day of it learning our history at the education center. Interactive exhibits were discussed to enhance their hands on experience with the past. History Day, Founders Day and Heritage Month were some of the events to develop and invite the public to. To some the old house might be an eyesore or a waste of energy but to those that showed up to share their thoughts and ideas it is an investment into our future. Wildomar doesn’t have any recreation centers. We are severely limited in the city budget and don’t have access to many public meeting places that could be utilized by the community. 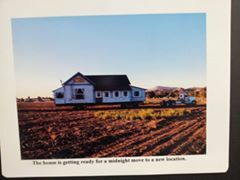 What a great opportunity that the previous developer, the county and the Wildomar Historical Society saw in this house. I hope to see more of you at the next meeting on November 17th @ 7:00 p.m. You’ll have to message me for the address since we’ll be meeting again at my house. 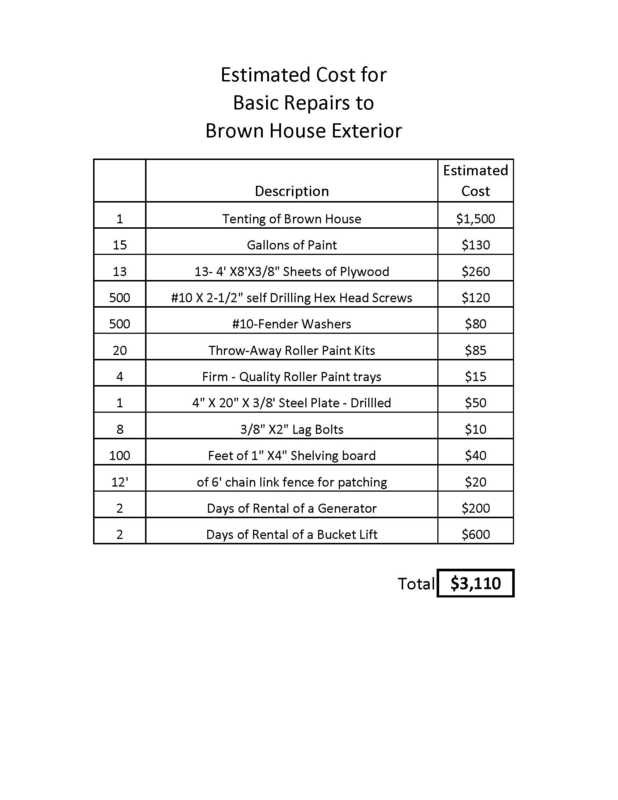 In the meantime it was suggested to put the needs list for securing the Brown House out to the community. If you would like to donate any of the materials please let me know. One board, one nail…it’s all the same. It’s a benefit to the community to preserve this house for the future. Please call if you have a donation from the list and I will update the post with your name and donation and check that item off.